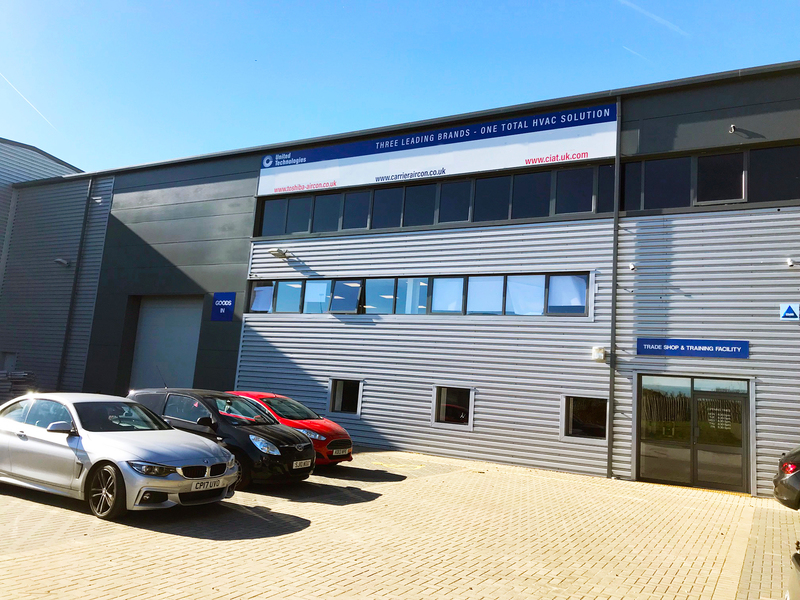 New TCUK Branch will Enhance Support for Customers in the North of England and Scotland – Includes state-of-the-art technology training centre and trade counter. TCUK is opening a new branch in Stockport, near Manchester, to further enhance support for its growing customer base for Toshiba, Carrier and CIAT products in the North of England and Scotland. The initiative is part of the company’s drive to become a one-stop-shop for integrated building services solutions. TCUK is a joint venture between Toshiba and Carrier in the United Kingdom, and is part of UTC Climate, Controls & Security, a unit of United Technologies Corp. (NYSE: UTX). The new 10,000 sq. ft. facility, which will operate alongside TCUK’s UK headquarters at Leatherhead, includes administration offices, a warehouse, trade centre and a state-of-the-art heating, ventilating and air conditioning (HVAC) technology training centre. In addition to air conditioning equipment, the trade counter will supply installation components and materials, such as copper pipe and insulation, enabling installers to source everything required for a project from a convenient single source. The training centre will provide hands-on and classroom-based courses in HVAC technology, with working examples from the latest generation of Toshiba, Carrier and CIAT equipment and controls.